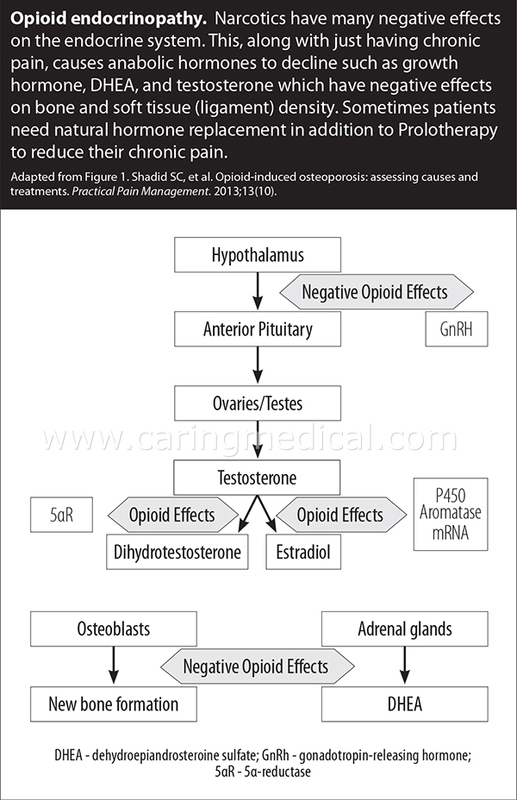 In this article, Danielle R. Steilen-Matias of Caring Medical describes concerns of painkiller abuse in patients and effects of overusing painkillers. One effect especially worrisome is that painkillers can cause more pain for chronic joint and back pain patients. Despite more painkiller prescriptions, more Americans are in pain. Why? In treating chronic pain patients we have seen many patients with a medical history of ever increasing doses of painkillers. 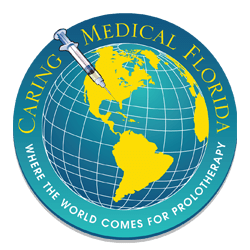 The fact that these patients are in Prolotherapy offices seeking help is evidence that the pain medications are not working and in some causes exacerbating the pain. Most patients who are prescribed narcotics go from ‘moderate’ pain to ‘severe’ pain shortly after the narcotic is prescribed. Then, typically, the localized pain they are taking the painkillers for gradually becomes a radiating or diffuse ‘body’ pain. In our experience and documented research – If complete healing is to take place, use of narcotics must be stopped. Should painkillers be the first response to pain? Many medical conditions that affect people’s lives involve some type of chronic pain, whatever it may be. In today’s medical society, the prescription of drugs, more specifically painkillers, has almost become the first response to any and all conditions no matter the severity. This mentality of the pharmaceutical industry and some traditional medicine practitioners has unfortunately hurt the public by the immense volume of pain medication pills it has pumped into the medical community. Not only is it easier to get them but just as easy to get higher dosages as well. This current purge of drug supplement and drug usage is very quickly escalating into a very big societal problem; bigger than it ever could have been imagined by the creators of these drugs. People in pain know that painkillers are not the answer and they are rebelling. Research published in the Journal of the American Geriatrics Society studied the use of painkillers in older adults with knee pain. Researchers were looking to describe the prevalence of pharmacological and non-pharmacological pain management approaches used by older adults with persistent knee pain. They also sought to identify characteristics associated with use of these approaches. 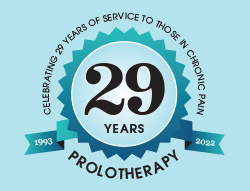 37.5% reported using both pharmacological and non-pharmacological pain management modalities. Non-pharmacological modalities (68.4% – over the counter) were reported more frequently than pharmacological modalities (49%). Women, individuals with knee osteoarthritis, and individuals with moderate to severe pain were more likely to report combined use of pharmacological and non-pharmacological modalities. Only one-third of older adults with persistent pain reported pain management strategies consistent with current guidelines. The article concludes that further research is required to understand reasons behind choices, barriers to adherence, and the benefits of multiple modalities that older adults with persistent pain use. Additionally, not only are the patients non-compliant with the use of pharmacological pain relief, but their doctors themselves are confused as to how to medicate them. Less than 1 in 5 patients in Portugal with chronic low back pain were taking painkillers. In the study of 1,487 subjects with active chronic low back pain, only 18.7% were using analgesic/pain-relief drugs. A recent study in the journal Neurology shows that pregabalin – a nerve pain medication – is not effective in controlling the pain associated with lumbar spinal stenosis, the most common type of chronic lower back pain in older adults. 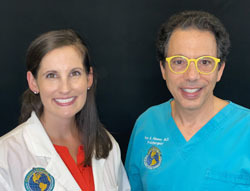 “Chronic low back pain is one of the most common reasons why older adults go to the doctor and lumbar stenosis is the leading indication for surgery in this age group,” said John Markman, M.D., director of the Translational Pain Research Program in the University of Rochester Department of Neurosurgery and lead author of the study. “We learned that sufficient clinical research doesn’t exist to show physicians how best to treat chronic pain in adults, many of whom suffer from multiple health problems,” said the founding director of the Indiana University Center for Aging Research and Regenstrief Institute investigator Christopher Callahan, M.D., who served on an independent panel convened by the National Institutes of Health to discuss these concerns and issue a report. While opioid painkillers are frequently prescribed for chronic pain, the panel noted the absence of pain assessment and treatment guidelines. The panel also reviewed reports that suggest insufficient data exists on drug characteristics, dosing strategies and tapering options. “Are opioids the appropriate treatment? And, if so, at what dose and for how long? Could other, less dangerous treatments work for some people? The panel found that, in spite of what many clinicians believe, there is no evidence that pain narcotics — with their risks of dependency, addiction and death — are an effective long-term pain treatment. More research is needed to guide effective care for chronic, often debilitating, pain,” Dr. Callahan said. Since 1990, painkiller overdoses have more than tripled, but even worse than this is the five-fold increase in women. The Center for Disease and Control (CDC) said, “The deaths due to opioid drugs have skyrocketed in women; mothers, wives, sisters, and daughters at rates we have never seen before.” In 2010, there was an emergency department visit by women for the misuse or abuse of opioids at a rate of about 1 every 3 minutes. To add fuel to this fire, recent research has shown that women are more likely to have chronic pain, be prescribed painkillers, be prescribed higher doses and use them for longer periods of time than men. On average, women weigh less than men so these drugs have much higher effects on them than the average man. The correlation between the amount of pain medications available and the increased deaths of everyone, not just women, almost go hand in hand. Despite this knowledge, doctors still to continue to freely give away prescriptions to these dangerous drugs without regarding the individual taking them. Many aspects of the person should be taken into account before giving them the prescription and, if nothing else, they should at least be told of the dangerous affects they can have on individuals. A holistic and curative approach is the best way to prevent, treat, and protect patients from abusing their medications. Painkillers are a common treatment option for people battling chronic knee pain. While many other treatment options exist, both conservative and non-conservative, prescription drugs rank high as a main course of knee pain treatment. The term narcotic is derived from the Greek word for stupor. At one time, the term applied to any drug that induced sleep, but most refer to drugs that have strong analgesic properties. Narcotics are medications that are morphine-like, whereas a similar analogy is NSAIDS, which are aspirin-like. There are numerous NSAIDs available because each NSAID company believes that their product is safer and more effective than the others are. The same is true with the various narcotics. Each pharmaceutical company producing narcotics tries to develop an even stronger pain reliever with fewer side effects. By definition, narcotics, which act in a manner similar to morphine, are immunosuppressive. Tylenol with codeine (Tylenol #3, Tylenol #4) A combination of narcotic pain reliever and a non-narcotic pain reliever. Fentanyl a very potent synthetic painkiller more potent than morphine. Pain typically indicates that some structure is weakened and/or damaged. If there is no pain there is no need for painkillers. 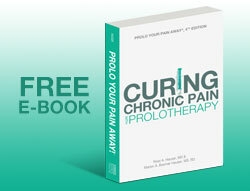 Prolotherapy treats the root cause of the problem, looking past the symptoms to the cause of the symptoms. It is a cost-effective and conservative alternative to painkillers for joint pain. 2. Paulozzi LJ. Prescription drug overdoses: A review. J Safety Res. 2012 Sep;43(4):283-9. doi: 10.1016/j.jsr.2012.08.009. Epub 2012 Aug 25. 6. Koffeman A et al., Use of over-the-counter non-steroidal anti-inflammatory drugs in the general population and in patients with a high risk of adverse drug events [abstract]. EULAR Annual European Congress of Rheumatology; 12-15 June 2013; Madrid, Spain. Abstract nr. OP0202-PC. 9. Cobaugh DJ, Gainor C, Gaston CL, et al. The opioid abuse and misuse epidemic: Implications for pharmacists in hospitals and health systems. Am J Health Syst Pharm. 2014 Sep 15;71(18):1539-54. doi: 10.2146/ajhp140157. 10. Paulozzi LJ. Prescription drug overdoses: A review. J Safety Res. 2012 Sep;43(4):283-9.